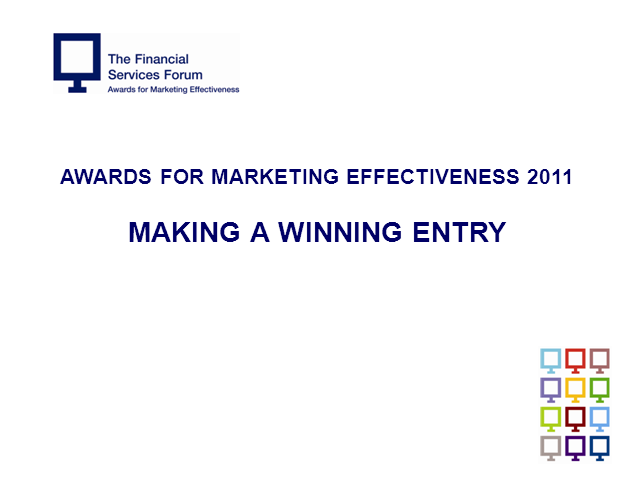 The Financial Services Forum Awards are devoted to celebrating genuine marketing effectiveness. Being shortlisted or winning an Award is, we believe, one of the most respected accolades for excellence in financial services marketing. If you’re considering making an entry, this short presentation will provide a brief explanation of the entry process, with some practical suggestions to improve your chances of success.